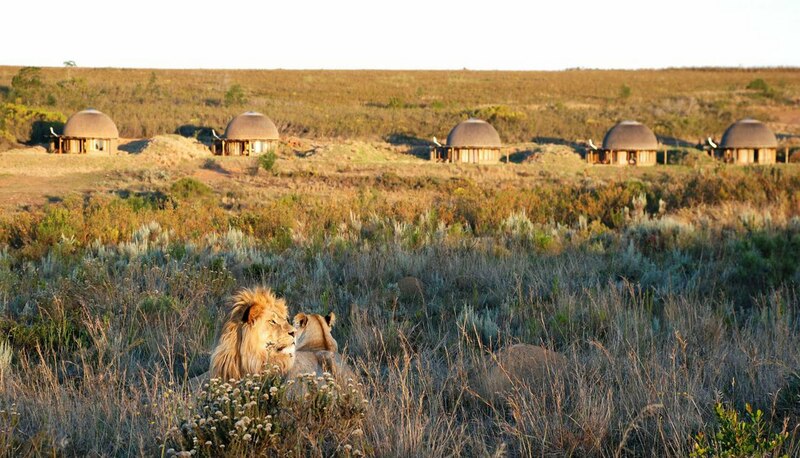 Gondwana Game Reserve on the Garden Route, is inland from Mossel Bay, 4 hours drive from Cape Town & just 45 minutes from George Airport. Activities on this 11 000-hectare malaria-free ‘Big 5’ reserve include game drives, horse-back safaris and guided nature walks. Set amidst rolling hills and indigenous fynbos, Gondwana started with a dream of transforming farmland into an 11 000-hectare eco-safari destination. 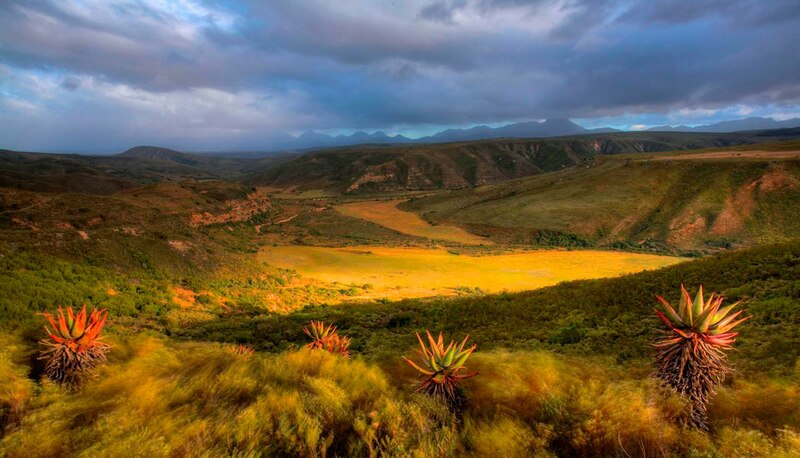 Only 4 hours from Cape Town along the Garden Route, and now restored to its natural beauty of open grasslands, undulating valleys and fynbos. Herds of eland, gemsbok, red hartebeest, bontebok and springbok have been re-introduced as well as the endangered Cape Mountain Zebra and rare black rhino. More recently hippo and cheetah have joined the lion, elephant and buffalo populations. 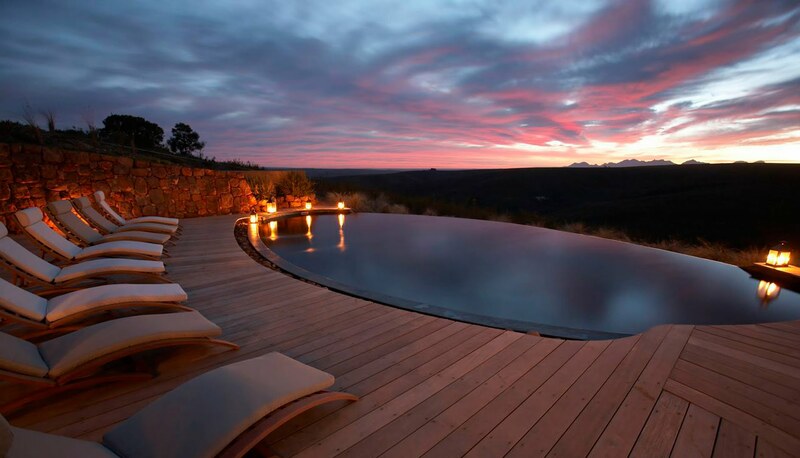 The unique and eye-catching Xhosa-styled Kwena Lodge, with it's chic open-plan lounge and bar, opens out to the large pool area, and there is also a traditional boma. The 14 thatched & domed Kwena Huts are a modern take on traditional Khoi-San dwellings, opening onto shaded decks overlooking two waterholes, the valley and mountains. 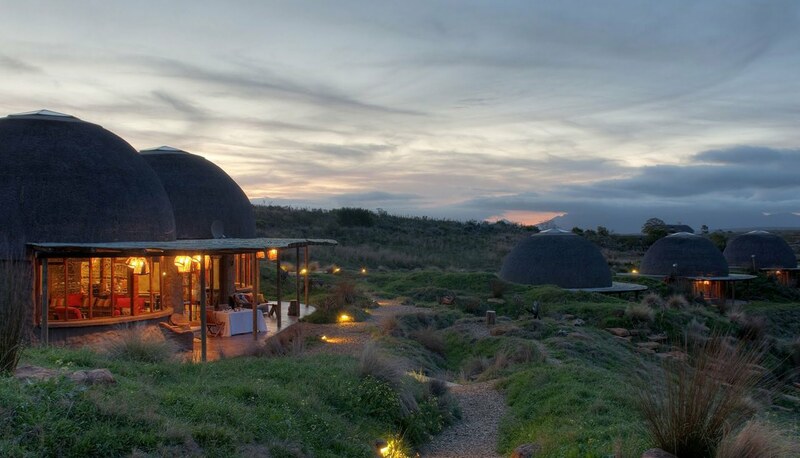 These beehive huts with chic and spacious interiors are dotted on the hillside, and each open-plan suite has clay pot fire places, deep baths, sky lights for star gazing and a patio to enjoy the panoramic view. 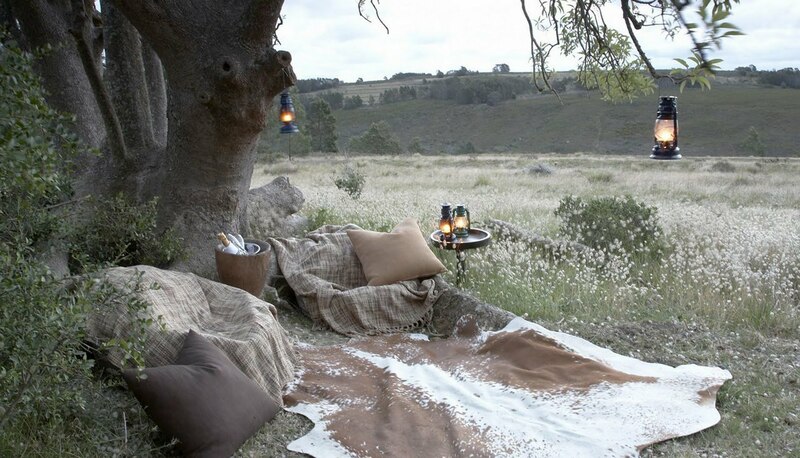 After a day's safari in a Landrover, on foot or on horseback return to a boma barbeque or elegant lodge dinner. Fynbos Camp Bush Villas offer a luxury option ideal for families or groups with en-suite bedrooms, spacious lounge and expansive viewing deck. With sweeping views and organic style, the nearby Lehele Lodge is a separate venue for weddings and conferences. Kids of all ages can join the ‘Junior Ranger Program’, while you are pampered at the Spa.